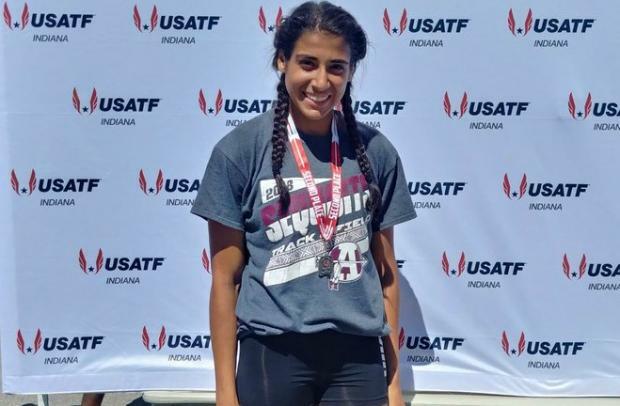 Noor Abdellatif is a senior at Antioch High School who competes in the pole vault, hurdles, sprints, and jumps for the Sequoits. Noor will be covering meets in Lake County and surrounding areas when her schedule allows. Noor wanted to be a Milesplit intern because she believes that working with a group of people who work in the fields such as photography, writing, and videography would benefit her in the future as a journalist. She gets to apply the skills she has learned with Milesplit, which will make the experience easier and more enjoyable. She also sees this as an opportunity to promote the sport she's most passionate about. An animal that best describes Noor is a dolphin because she's always so full of energy, contagiously happy, and creative. She thinks the best event in track and field is Pole Vault, her favorite sports team is the Chicago Cubs, while the food she enjoys most Is Lasagna. She is team iPhone and thinks the best running shoes and sprint spikes are made by Nike.